How to create a pattern from an existing favorite pair of pants! 9963 E Baseline Rd, #105, Mesa. Leaving at 10:00 A.M., shop then lunch! Maria will take the team through creating wonderful thread at fabric pictures. 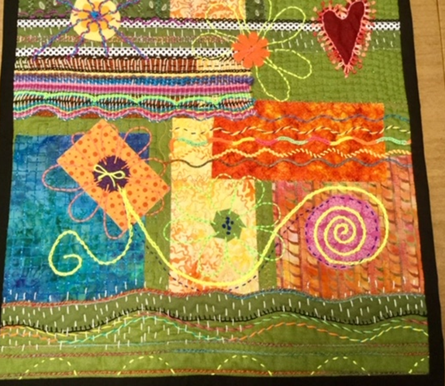 Fiber Arts for March, we discussed the various medium that can be used on fabric for creating art pieces. 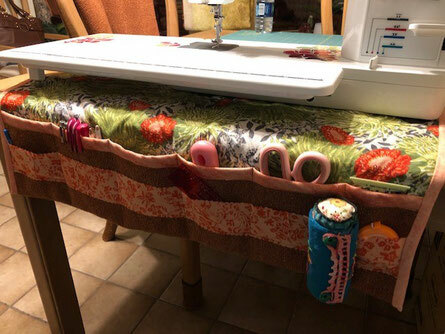 Our group is making individual sewing machine organizers for everyone in the group!